Qualifies for 30% federal tax credit on new installations. 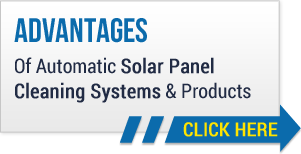 Our solar panel cleaning systems are the industry’s finest, and make maximizing production from your home solar panels a breeze. Heliotex cleans solar panels like no other company, offering state-of-the-art automatic systems that configure for your specific soiling environment and feature security fasteners and other anti-theft devices. The cleaner your system the more efficient it will be. Why climb up on your rooftop and risk falls and damage to your equipment when our solar panel cleaners can do the work for you? Our products are available for both residential and commercial use, and once your cleaning system is installed you’ll wonder why you didn’t do so sooner. If you’ve gone solar, you owe it to yourself to learn more about the great line of products available to you at Heliotex. We offer free quotes and professional installation, so call today! Keeping your solar panels clean does not have to be a difficult proposition. In fact it couldn’t be easier when you install a cleaning system from Heliotex. Since our inception in 2008 we have become an industry leader through the residential and commercial cleaning systems we have developed. Protect the investment you have made in solar panels by installing a cleaning system to ensure maximum production. Call Heliotex today to learn about our state-of-the art systems, and let us help you choose the one that works best for you. You may reach us at (760) 837 0390, or toll free at (800) 280-6976. 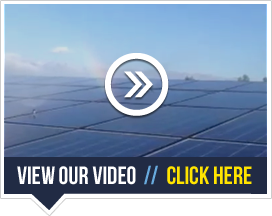 You’ll be amazed at the difference a solar panel cleaning system makes! Copyright © 2009-2019 Heliotex™, LLC. All rights reserved.